Good morning my friends. Stopping in this morning to share this cute Treat Box Purse. I really love the Vintage Minnie image. I think she is adorable. I'm really enjoying the lager treat boxes. What say you? I LOVE THIS ONE ONE NANA! OH MY WORD.... Soooooooooo cute! This is just DARLING!! I love the back and Minnie! OMG, Nana!!! 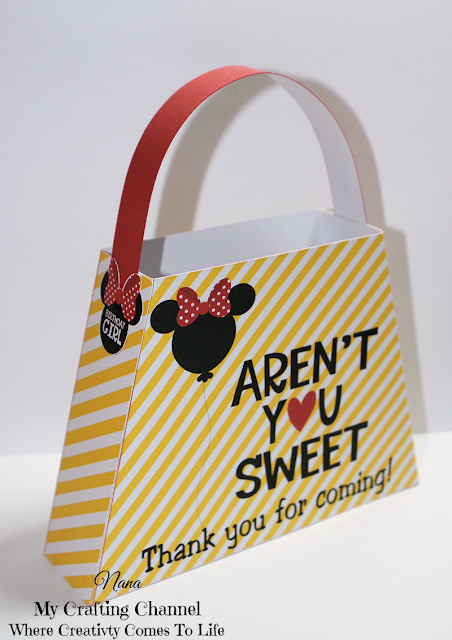 This treat box purse is super, super CUTE!!!! I love it!!! Have a great day. Adorable purse and design! I love the vintage Minnie Mouse, she is a cutie! The papers you used are just perfect! Oh how CUTE! 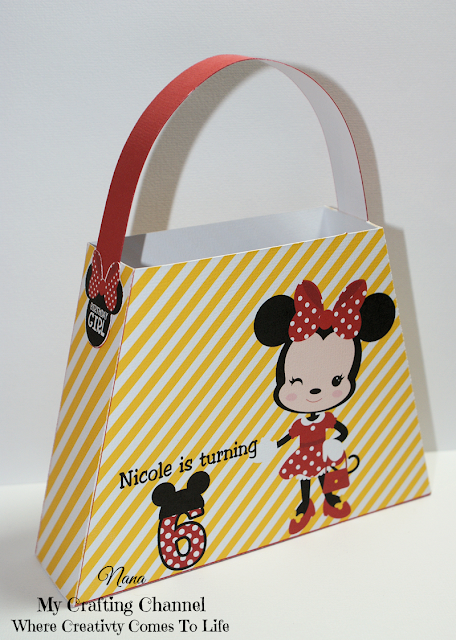 Adorable Image and fun little purse/gift bag! This is such a cute purse bag! 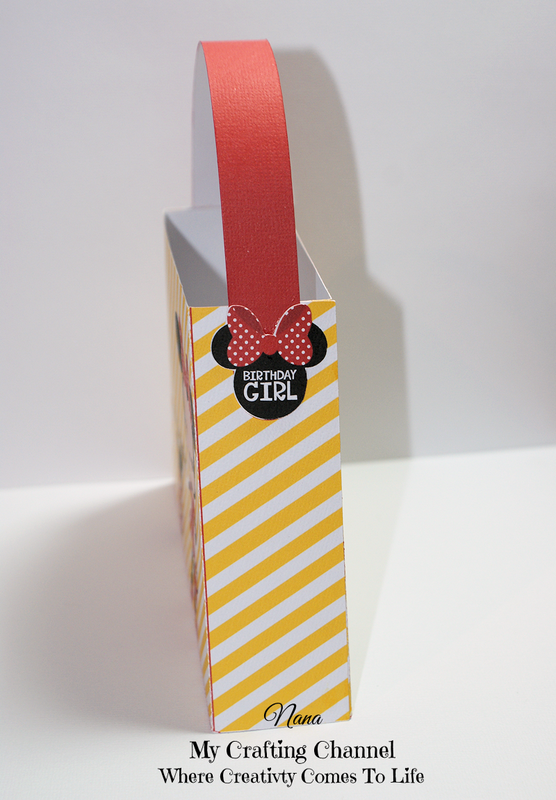 I love Minnie Mouse! She was my favorite when i worked at Disney World when i was in High School. I had a Minnie Mouse key chain and sticker for my car back then.